Every guest will be given a character sheet with information and background. Who knows... maybe YOU are the murderer! BRING YOUR FRIENDS, and then KILL one! Drinks from 6:00pm, show begins at 6:30 sharp. This murder mystery show is unlike any theatre show you have seen before, as all the audience members also have a part to play. Mingling with the actors from The Comedy Club Bangkok, the audience members are also given a character, with information (secret and otherwise) that they must share with everyone else. Who has a motive for murder? Who will gain the most from someone being ‘knocked off’? It's Christmas time at the North Pole and everyone is working hard to make sure this is a holiday to remember. But a couple of characters are unhappy with the way Santa is running the workshop. You better not shout, you better not cry, or else you might not make it out alive! 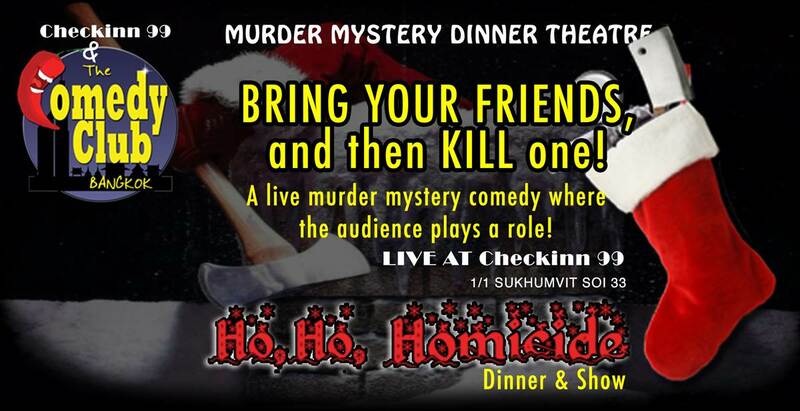 Once the murder happens, it is up to the audience to figure out whodunit! The investigation means that everyone is a suspect. And who knows, you might even be the murderer! Not until the end of the evening, when the solution is revealed, will anyone know for sure who the murderer is. Those who guessed right win the sleuth prize! A night full of laughs, this show is part theatre, part party, and all fun. The show includes a delicious Asian buffet, and live musical entertainment. 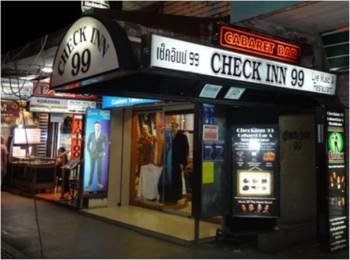 Produced by Check Inn 99 and The Comedy Club Bangkok, this is a night that you won’t soon forget. Special discount for groups of 4 or more, with each ticket only ฿900. Larger group Discounts also available. Contact [email protected] for special prices.